I like my vegetables with lots of crunch and flavour. Daikon has always been a favourite for it’s slight peppery heat and crisp, juicy, texture. This white winter radish is found in many recipes throughout Asia. It is low in calories, but very high in vitamin C, calcium and fiber. Typically eaten raw in salads, daikon can also be added to stews and pickled. 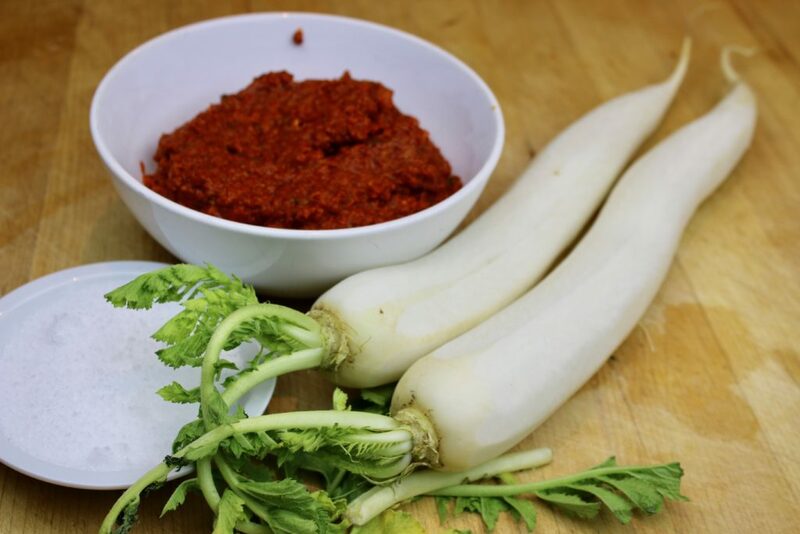 I discovered a traditional Korean kimchi variety (Kkakdugi) that perfectly combines the full-bodied flavour of kimchi paste with the tasty crunch of daikon. Since I had some extra kimchi paste and daikon after making my last batch of napa cabbage kimchi, I thought I would give it a try. It was so easy and delicious. The pairing of kimchi paste with the daikon was amazing on it’s own, but leaving it to ferment for a few days really amplified the flavour (and nutritional value!). 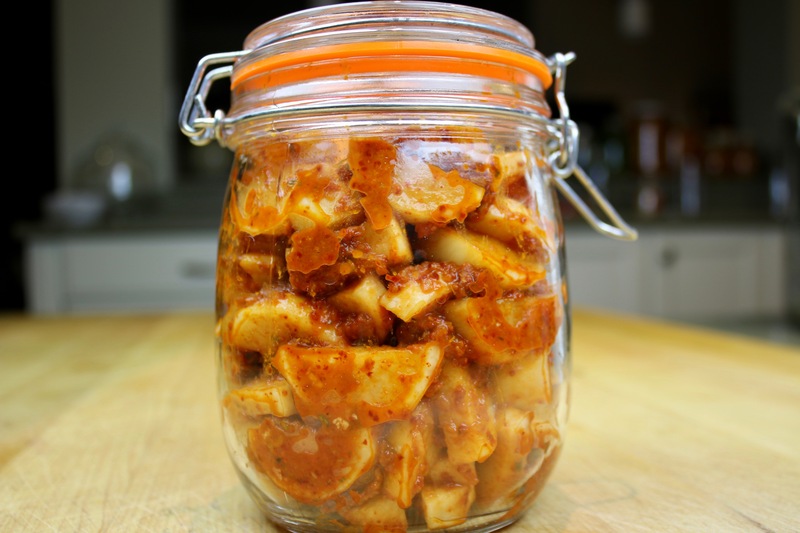 Daikon kimchi makes a great snack and goes well with soups, meat dishes, and with noodles or rice. 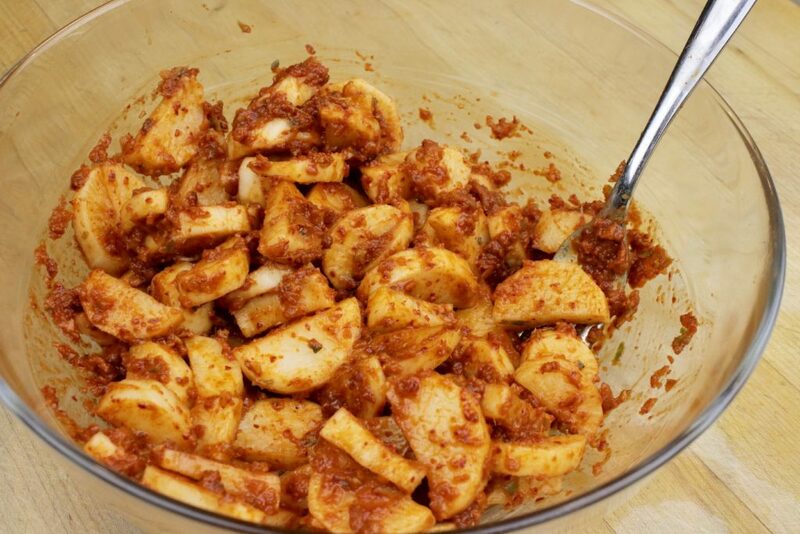 If you like cabbage kimchi, you’ll love this crisp, flavourful version! 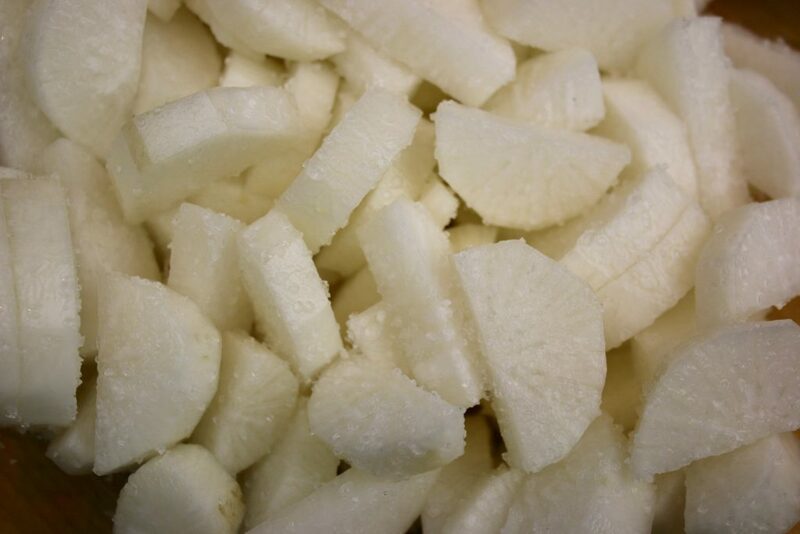 1.Cut daikon in ½ – 1″ cubes. Rinse with cold water. 2.Sprinkle generously with salt and let sit for 30 minutes. Cut daikon into cubes. Salt generously . 4. Coat cubes well with kimchi paste. 5. Place in jar, leaving ½ headspace to top of jar. Close jar and leave to ferment at room temperature for 3-4 days. Store finished daikon kimchi in the refrigerator. Cut daikon in ½ - 1" cubes. Rinse with cold water. Sprinkle cubes generously with salt and let sit for 30 minutes. Coat cubes well with kimchi paste. Place in jar, leaving ½ headspace to top of jar. 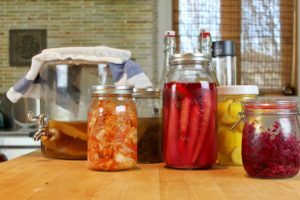 Close jar and leave to ferment at room temperature for 3-4 days. Store finished daikon kimchi in the refrigerator.